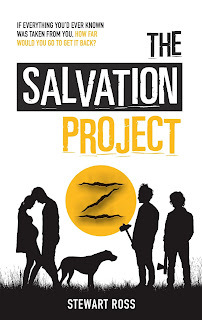 To kick off The Salvation Project blog tour, I've got a great interview with the author Stewart Ross. There's also a giveaway if you head to the Goodreads link at the bottom of the page. First I'll tell you about the book, then get straight to the interview! I love the sound of this and I'm looking forward to reading my copy! Now, it's time for the interview. Long time ago! I remember being mesmerised by the Wind in the Willows when a neighbour read it to me and her son, and the book’s been a favourite ever since. Pooh featured highly early on. I collected the Wonder Book series (The Wonder Book of Farming (?!) etc) and the I-Spy series. The first book I remember buying for myself was Treasure Island. I re-read it again recently – it has one of the best beginnings of any book I know. What books or authors inspire you? No. 1 by miles and miles is William Shakespeare, the greatest literary genius of all time who just happened – lucky us! – to have lived at a time when the English language was fresh and new and flexible. The terms of abuse used by Timur/Giv in The Salvation Project owe much to the Bard. 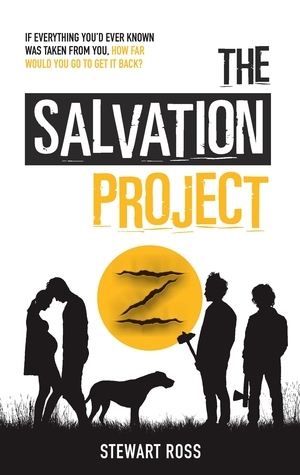 My favourite novelist is Charles Dickens, whose larger than life characters influenced many of my creations – especially the Zeds – in the Soterion Mission trilogy. My favourite living writers are the Canadian Margaret Atwood (The Blind Assassin) and Cormac McCarthy (The Road). Children’s authors? A. A. Milne and Roald Dahl stand out. 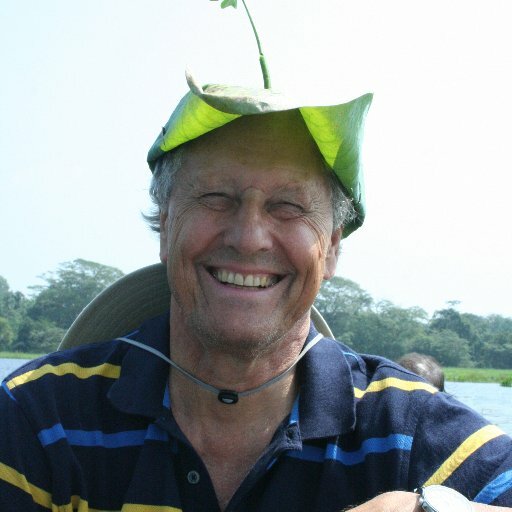 And among those living today I’d go for Philip Pullman among the many, many writers and illustrators (Quentin Blake) of undisputed genius. Shakespeare. Apparently he was good fun to be with. I’d like to hear his accent, listen to his conversation, and ask him what he’d do if I could carry him forward to our century. Would Hollywood interest him? Cup of tea, switch on computer, switch on brain with four different games of solitaire and a game of chess… and off we go. It’s stuffed with books and known in the family as ‘Auld Reekie’, a nickname given to Edinburgh when it was a very dirty and smoky city. 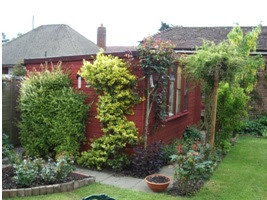 I have written a number of books on Scottish history, and once smoked a pipe: back then, when it was too cold to open the door or windows, the inside of my hut got very Reekie indeed. Sadly, my Auld Reekie is getting a bit rotten around the edges nowadays and before long will need some serious surgery. If you were stuck in a dystopia, which fictional character/s would you take with you? Winnie the Pooh – AA Milne, not Disney – for comfort, kindness and homespun common sense. Atticus Finch (from To Kill a Mockingbird), the all-time wise and liberal hero. Roxanne from my Soterion Mission, the bravest, most attractive woman I know. I was in love with her from the moment she appeared on the page. Thanks so much for the interview Stewart. The giveaway link is below - good luck everyone! Feckless, exasperating Alex Finch is a rich, handsome and talented singer/songwriter who longs for two things: a career as a professional rock singer, and to have his love for Sam Barrowdale reciprocated. But drifter Sam's two aims are simply to earn enough money to pay his sister's medical bills and to hide from the world his reading/writing and speech disability. At this time the word 'dyslexia' is generally unknown so to most people he's just a 'retard'. From the severe knocks life's dealt him, Sam's developed a tough outer coating and he has no time for a spoilt, selfish guitar player. 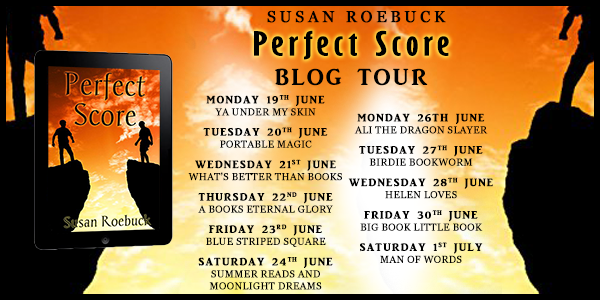 I'm so pleased to start this blog tour, as I love a good romance that I can root for. Alex and Sam's relationship was my favourite part of the book. I really liked both of them, particularly how they grew as characters. Their relationship was touching, heartfelt and at times heartbreaking. I loved this aspect of the plot, but sometimes I felt like the book went in a lot of different directions when I wanted more Alex and Sam time! Another interesting aspect of this was the viewpoint. It was an unusual choice to have Sam's parts of the book in the third person and Alex's in the first person, but this worked for their characters and the development of the plot. Both characters' stories were told honestly and went to some dark places, more so than I expected. This book also had a strong sense of time and place, sometimes to disturbing effect when it came to how Alex and Sams' relationship was perceived. It captured the 1960s period well and created vivid images of the different settings. I really enjoyed getting to know these characters and appreciated the honest (and sometimes dark) feel of this book. 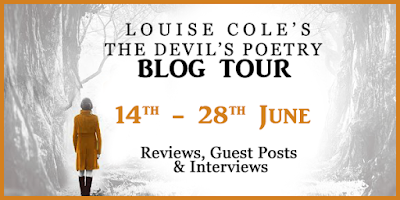 Thank you for having me on the blog tour! Callie’s world will be lost to war – unless she can unlock the magic of an ancient manuscript. She and her friends will be sent to the front line. Many of them won’t come back. When a secret order tells her she can bring peace by reading from a book, it seems an easy solution - too easy. 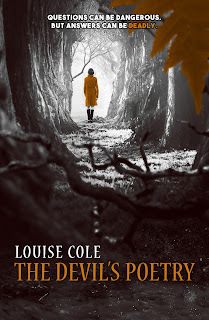 Callie soon finds herself hunted, trapped between desperate allies and diabolical enemies. The Order is every bit as ruthless as the paranormal Cadaveri. The premise of this immediately intrigued me and I really liked the idea of there being a manuscript in this world that was shaping history without most people knowing about it. 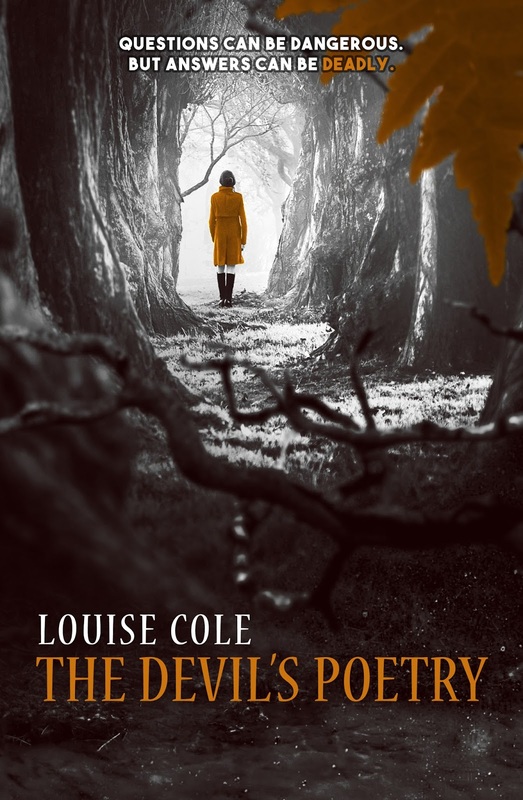 My favourite part of this book was the way the perspective shifted between Callie's first person viewpoint and other third person viewpoints, including the Cadaveri and political leaders. Due to the high stakes of stopping a world war, it was really interesting to get the views of the different people involved. I didn't a hundred percent get invested in Callie's overarching plot line for some reason, but overall I enjoyed seeing the events from different sides. Another fun aspect was watching out for pop culture references. Any book that references Buffy has definitely won me over, and that wasn't the only reference that gave me a smile. 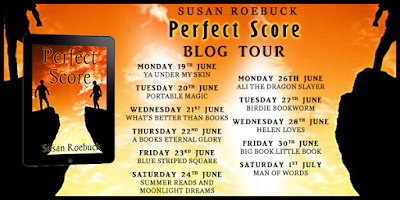 This is an action-packed book with an original premise and I'm really happy to have been involved in the blog tour! I received this book from Turnaround Publisher Services in exchange for an open and honest review. After sharing my thoughts, I have details of a fantastic (and very fun) giveaway from Turnaround. 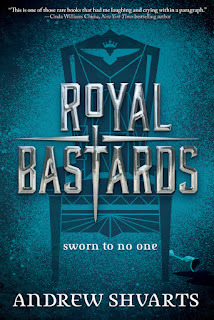 Royal Bastards is described as 'Game of Thrones for teenagers' and I can't think of a more apt description. 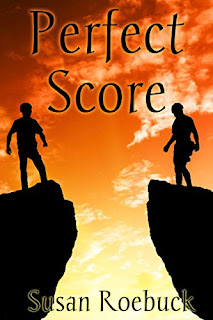 This book is also set in a richly imagined world and full of action, intrigue and romance. For me, the main strengths of this book were the characters and the relationships between them. I absolutely adored Tilla! Her longing for acceptance from her father immediately endeared her to me and it was great to watch her grow through the book. It made her feel very real that she was smart, confident and resourceful, but was also working out who she was. Her relationship with her half brother Jax was really refreshing. I seek out YA that explores sibling relationships and this book did that so well! I also enjoyed the interactions and growing relationships between members of their group. Each character was developed in detail, with very different personalities and layers to uncover. The plotting of this book was also brilliant. There was a real sense of imminent danger from their pursuers, which worked well against the background of the coming war. This gave the book a feeling of urgency and growing tension throughout. The writing style was another aspect that I enjoyed a lot. Although the world had that Game of Thrones feel of being from another time, there was something modern about Tilla's voice that I really liked. It felt unique and also created many opportunities for humour. This is one of the best fantasy books that I've read for ages. It's perfect for fans of Game of Thrones, Throne of Glass and Six of Crows. It's now time for the giveaway. 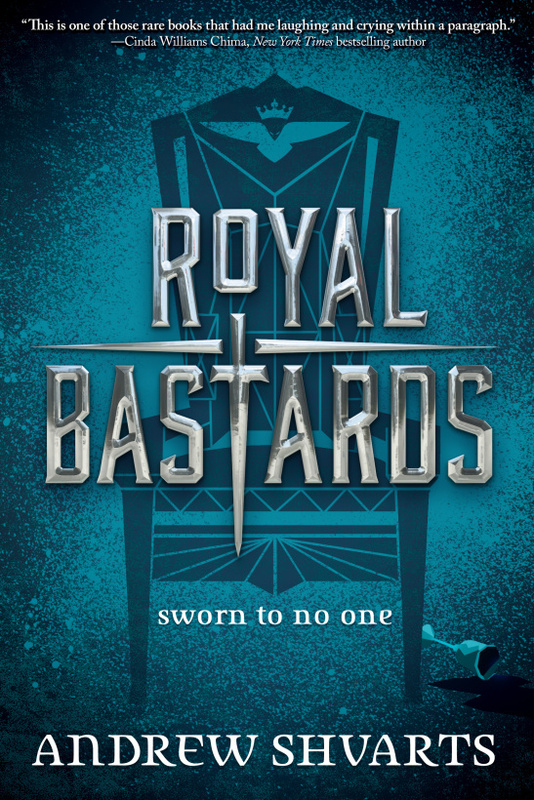 The lovely people at Turnaround Publisher Services are offering three people the chance to win a copy of Royal Bastards! To enter, you have to sketch an illustration of what you think a Skarrling looks like. The best drawing and closest likeness will win a copy of the book! Simply send your drawings via Turnaround's Facebook or Twitter page (@turnarounduk) by 30th June to enter. I hope you enjoy the book as much as I did and that you might be inspired to get drawing! Today I've got a different kind of blog post for you. My friend Steph has excellent taste in books and writes the most entertaining blog posts. You can check out her blog here. Now it's time to hand over to Steph with all of the amazing books. Enjoy! Hello! I’m Steph! I blog at A Little But A Lot and Amy has invited me here today to talk about my favourite YA authors – she’s done the same for me, over on my blog… check it out here if you fancy it. Now, this is where it gets tough. I love books. ALL OF THE BOOKS. I don’t tend to DISLIKE books. I might like some books more than others but I don’t tend to, or I haven’t come across any, hate books. They’re wonderful things that mean something to someone. The authors have poured their hearts and souls into this creation, this 80000 words, so I’m in no position to come along and hate on it. I hope if you were to come along to my blog that you’d see that my posts are on the whole very positive. That’s my stance on books. I LOVE THEM. ALL OF THE BOOKS. ALL OF THE LOVE. 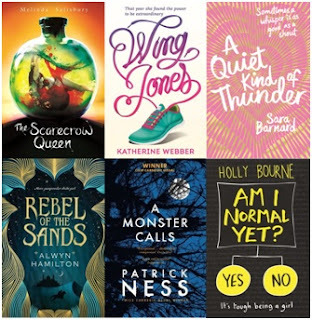 So here goes… my favourite YA authors. Melinda Salisbury: for those who know me, know I am a massive fan of Mel. She writes such incredibly beautiful stories and I am sure she is destined to take over the world (or the Underworld) one day. You should go and read The Sin Eater’s Daughter trilogy now, because it’s incredible. Then come and talk to me about it when you’re done. I’ll be over on twitter just waiting! Katherine Webber: Wing Jones had such an incredible message and when I read it I knew it was something special. I loved every second of it. I’ve met Katherine herself and she is absolutely gorgeous. I can’t wait to see what comes next, I know it’ll be just as amazing as Wing. Sara Barnard: A Quiet Kind of Thunder had a profound effect on me. I’m not sure why and it came out of left field for me, but it did have quite an immediate impact on me in quite a massive way. I will forever champion this book. It inspired me to teach my kids sign language and taught me to listen just as hard as I talked. Beautiful Broken Things is also an incredible story that is written, just as AQKOT is, in such a way that they appeal to teenagers – they’re relatable and real. Alwyn Hamilton: Rebel of the Sands blew me away. Here comes this story about a badass young lady, who wields guns and can fight like the best of them, who goes on an adventure and she won’t put up with anyone’s crap. Then there’s the heart throb of the books. She’s such a brilliant story weaver with this incredible world and characters who are just exceptional. I’m ready for the last book to be out now, but I’m not ready for the trilogy to be over. Patrick Ness: I’ve only recently become a Ness fan but now wonder WHERE HAVE I BEEN FOR SO LONG? Reading A Monster Calls was a massive kick in the face. Here’s this incredible story about a young boy and 3 stories within it and BOOM, make sure you have tissues ready. It’s so sad, so heart-breaking but so brilliant. I’m lucky enough to have met Patrick recently and he’s so frank and witty. I can’t wait to read more now that I’ve started. Holly Bourne: what can I say about Holly that probably hasn’t been said 6000 times before? She writes contemporary fiction SO WELL. The Spinster series was such an excellent portrayal of teenagers today, with such a brilliant set of messages – dealing with all kinds of issues from OCD, feminism to sexuality – that everyone needs to get them read now. She’s a great person to have on our side and for teenagers to read. Honourable mention to Rainbow Rowell: Eleanor and Park was one of those exceptional books that I devoured and have reread a few times since. I can’t recommend this book enough. Everyone needs it in their life. Love needs to be portayed in all of the ways – not just one. Everyone needs representation. So there we have it! Some of my favourite YA authors in the world today. I have so many other authors that I respect and admire; these ones though have a special place in my heart and on my bookshelf! I’d love to know if you have any recommendations based on these authors, or even ones which come out of left field! Let me know on twitter (@eenalol) and if you’d like to see more then come over to my blog – I’m always open for a chat! Thank you so much Amy for having me! Thanks so much for your post Steph! We share a lot of the same favourite books and I love Steph's writing style so much. I hope everyone enjoyed reading it as much as I did.